About 80 percent of the world’s food is produced by small-scale farming. Women make up on average 43 percent of this agricultural labor in developing countries. They are the majority in some countries. In South Asia, more than two thirds of employed women work in agriculture. In eastern Africa, over half of farmers are women. Yet, they produce 20 to 30 percent less than men farmers because they face two compounding layers of exclusion - as smallholder farmers and as women. Equalizing this gap could boost agricultural output and decrease global hunger by 17 percent. 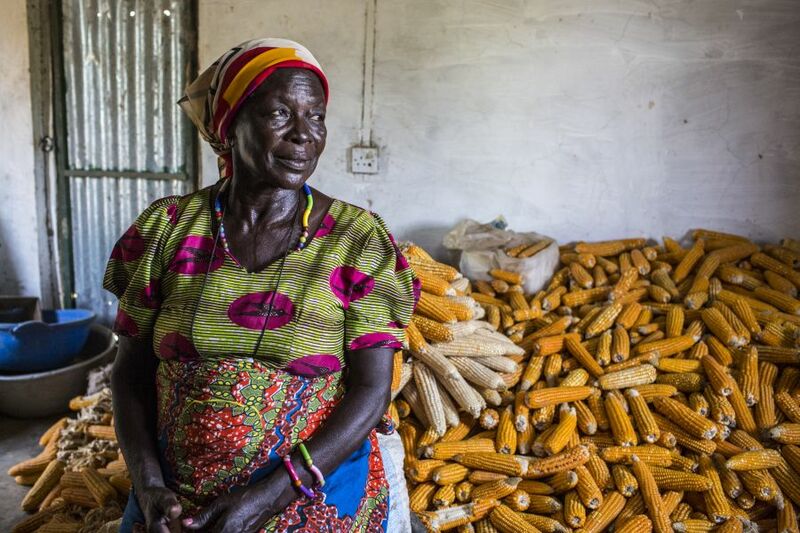 Mary lives in Goziir, Northern Ghana with her husband and six family members. Mary has benefitted from Oxfam’s projects to help small-scale farmers increase their crop yields, build energy efficient stoves and have access to small loans. Agriculture is more likely than other sectors to provide diverse opportunities for empowering women. However, women farmers are held back by barriers that prevent them from feeding their families and reinvesting in their livelihoods. They face restrictions related to their gender while also experiencing the financial struggles shared by all small-scale farmers. Women do not receive the same support as men farmers do. They have less access to land, loans and machinery. Women are heavily involved in domestic activities including caring, cooking and cleaning, which remain hidden economically. Women are disproportionately affected by climate change and face greater exposure to climate risks due to the same barriers that reduce their productivity. Nurlina has been fishing since she was 12 years old. She learned how to fish from her uncle and became a fisherwoman to be able to provide for her mother and sibling. 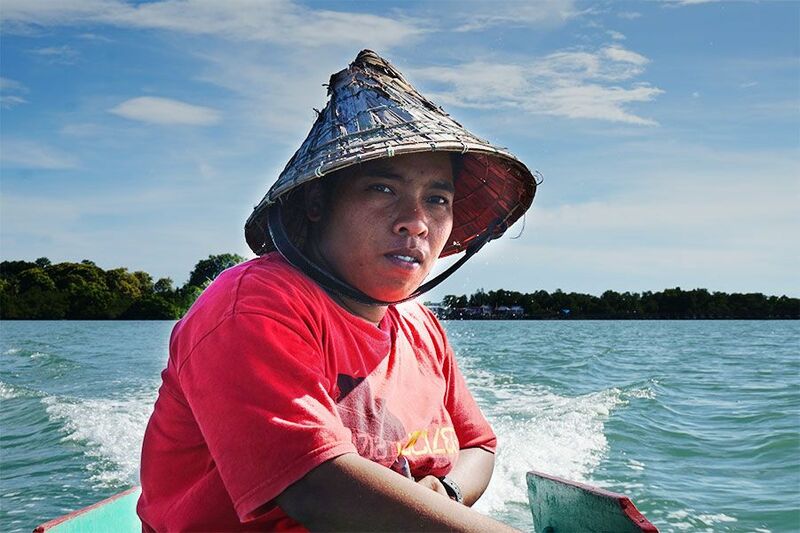 But in South Sulawesi, Indonesia, where fishing is usually done by men, she faced sexist comments and was stopped from being officially recognized as a fisherwoman. Growth in small-scale agriculture is two to four times more effective at reducing hunger and poverty than any other sector, and women farmers are playing a central role. They produce a huge amount of food for their families and surrounding communities. Yet, little action has been taken to ensure that they have the resources they need to improve their livelihoods, tackle food insecurity and build their communities’ resilience to climate change. Governments must break down the barriers that are holding back women farmers and preventing them from accessing critical farming inputs. They must ensure women have secure land rights, and provide women with vital funding and support for farming and adapting to climate change. Such support would protect their rights and boost their productivity. It would unleash the potential of hundreds of millions of women farmers to effectively reduce poverty and hunger. Oxfam conducted research on government and donor investments in Ethiopia, Ghana, Nigeria, Pakistan, the Philippines and Tanzania. It found that governments and donors are failing to provide women farmers with relevant and adequate support for farming and adapting to climate change. Millions of people are facing starvation across East Africa, South Sudan and Yemen. Oxfam is on the ground providing food, clean water and sanitation. Make a donation now and help us respond to those in desperate need.